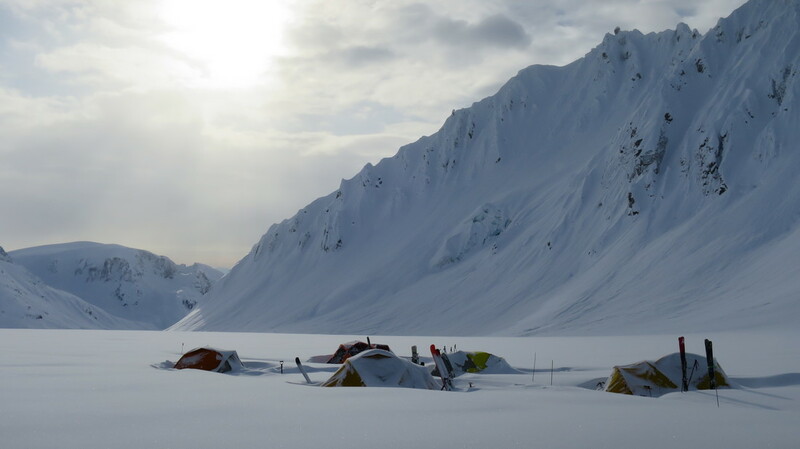 ​Last spring, Ian Macintosh invited Griffin Post and I to join him on a camping trip to the Tordrillo range in Alaska, with the objective of climbing and skiing the Razorback Spine Wall. Razorback is a gnarly looking spine wall named after its razor sharp spines, nestled in a protected nook off an unnamed glacier. I’ve been on many heli trips to Alaska, but never on a foot-powered mission. 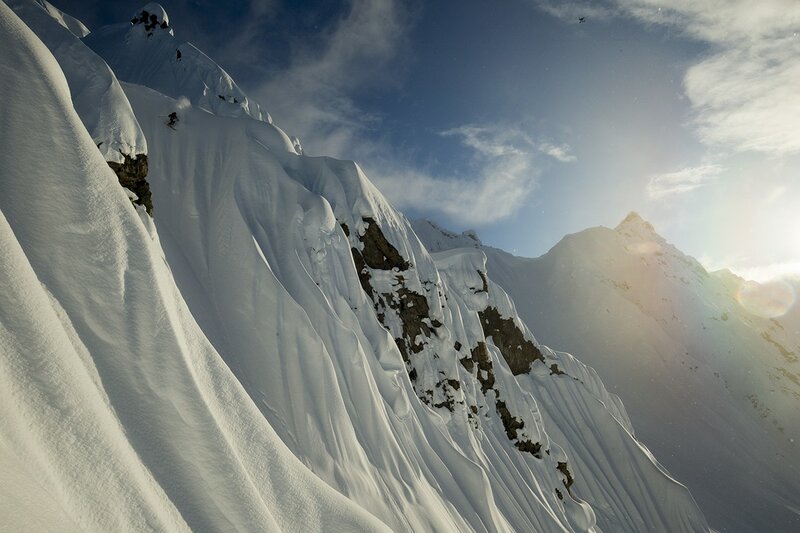 I had seen the Jeremy Jones trilogy and was blown away by the lines they chose to climb, where the overhead exposure seemed next level. Granted, the exposure can be managed, but not completely avoided. 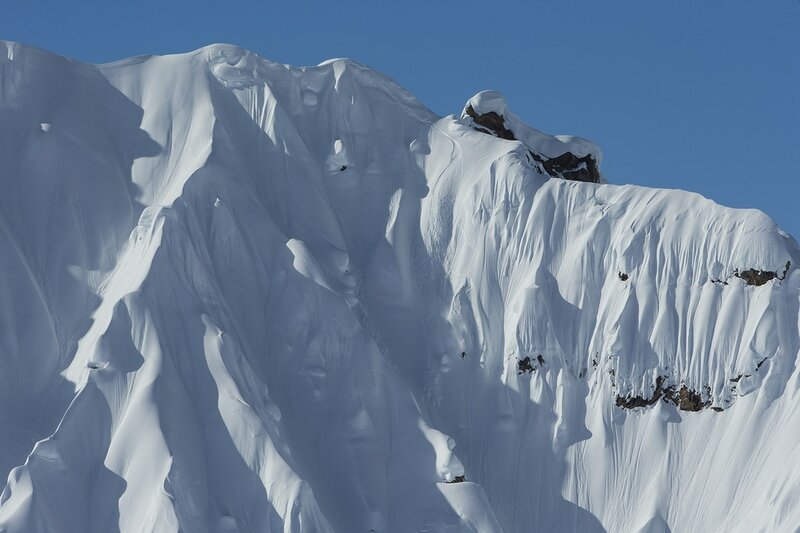 At some point you will find yourself under hanging pillows and cornices as you climb the easiest route, which happens to be in the belly of the beast. If you’d asked me a few years prior if I’d be climbing spine walls in Alaska I would have said, “I dunno, climbing lines seems pretty wild.” And yet here I was, scrambling to order gear and organizing winter camping equipment. I was nervous thinking of the adventure ahead, yet excited to take on a new aspect of skiing. I’ve participated in numerous skiing disciplines, from ski racing to urban hand rails, slopestyle, pillows and AK heli-skiing. 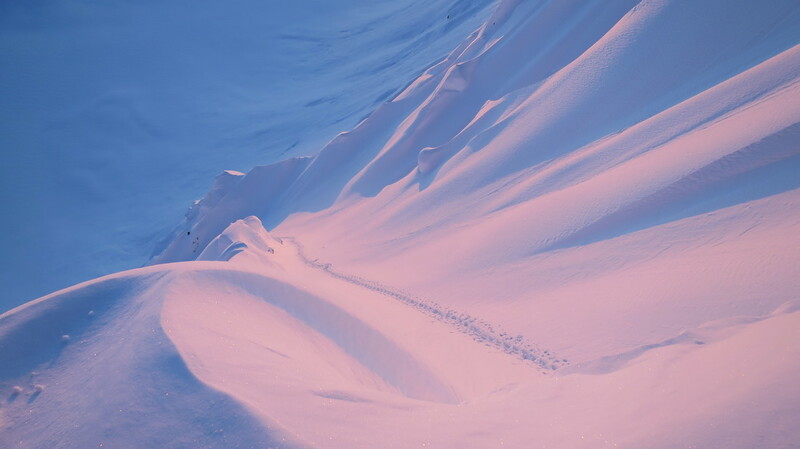 It seemed suiting to challenge myself in Alaskan terrain on foot, as it aligned with my journey of “given 'er hell” and pushing myself physically in the mountains. I met up with Ian, Griffin and the TGR team in Anchorage, Alaska. 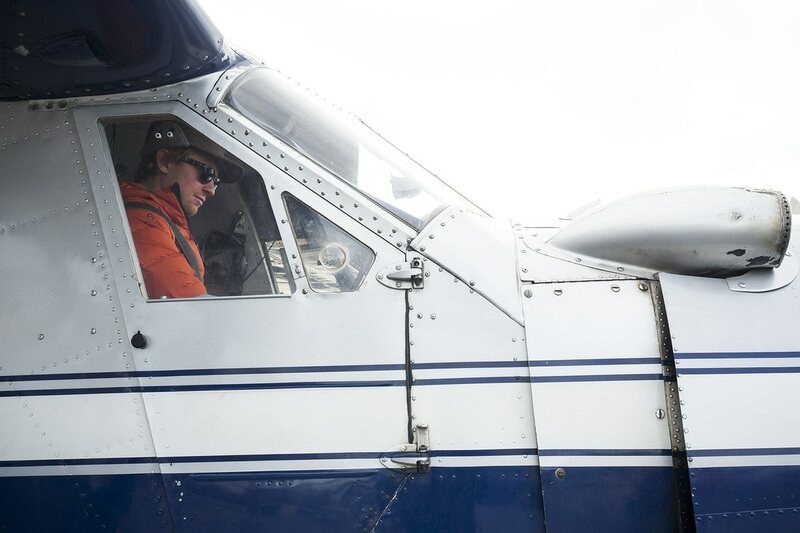 I could barely contain myself as I jumped around, buzzing with excitement as we organized our gear and prepared to board the Beaver planes that would take us into the Tordrillos. Anticipation was at an all time high as I laid eyes on Razorback. Steep, fluted, pillowy, spiny gnar covered the wall; Razorback was looking stacked. 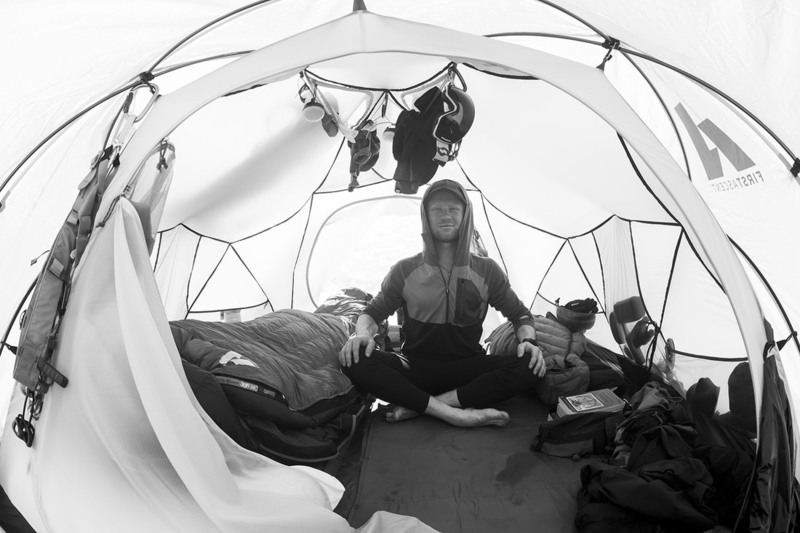 The team worked to set up base camp, packing out pads for the tents and getting situated. We set up 12 tents, including the cook and media tent, our home for the next 16 days. We squeaked into camp during a short break in the weather. The next day it snowed lightly, and we waited patiently, but excited. I laid anxiously in my tent that night. I’d never climbed spine walls, or any type of steep terrain for that matter, and the anticipation was building. We got our first opportunity to ride the Claw the following day, and we awoke at 3 a.m. to begin our climb in the dark under a starlit sky. My mind wandered as we made our approach to the base of the spines, where we switched over to our Billy Goat Ascent Plates and began to climb. As we took turns breaking trail up the gut between the Claw and the Talons, I felt comfortable, and my thoughts washed away as I became an animal in the environment; wolverines making our way to the top. It was so fun climbing, that I couldn’t help myself and took every opportunity to lead the climb, breaking trail for the team and honing my skills in picking the perfect line up the mountain, avoiding pockets of instability and topping out safely on the Claw. 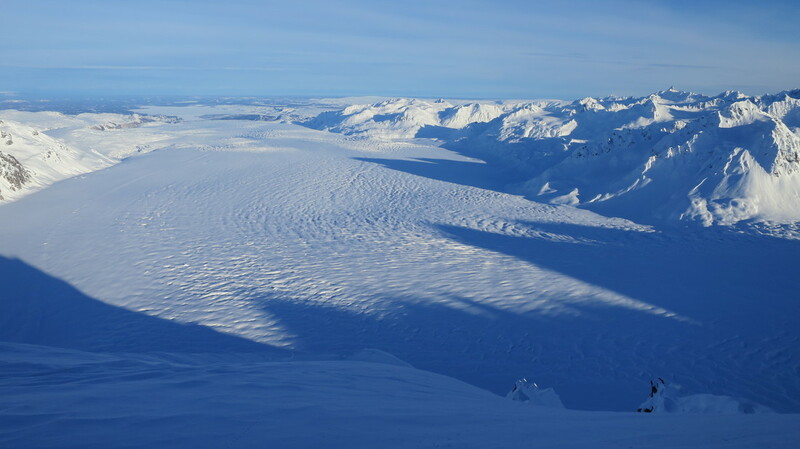 What a sight it was to peer over the south side of the wall down to the glacier. It was a beautiful sunrise, and we absorbed the moment and appreciated our place in the world. 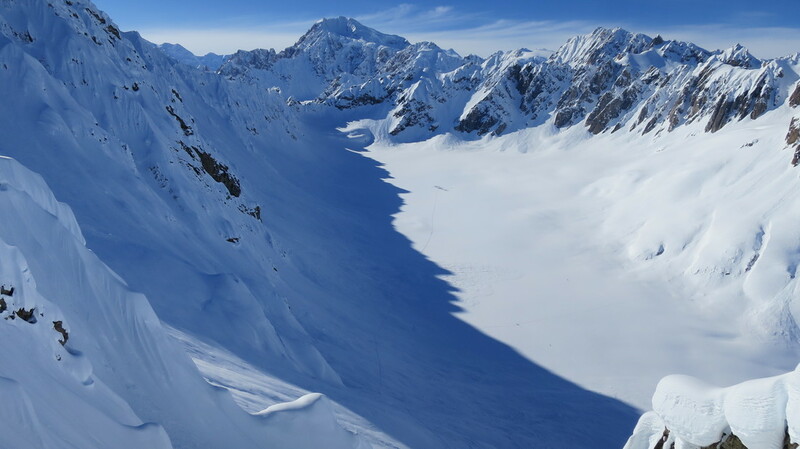 We skied tentatively, as it was our first line of the trip, and the mountain seemed more intimidating when you stare at it from camp and climb it on foot. After everyone stomped their line successfully, we were stoked and gaining confidence. That night, another storm rolled in and unleashed heavy snow and winds on us for the next three days. Everything becomes damp when it’s snowing, even my dry gear felt damp and my skin was clammy in the sleeping bag. There’s no way of escaping the moisture. Our cook tent collapsed on the first night of the storm, so we repaired the tent and kept a better eye on it after that. Camp was comfortable, so the storm didn’t phase us. Everyone was stoked and enjoyed the process of digging out tents and playing Risk in the cook tent. 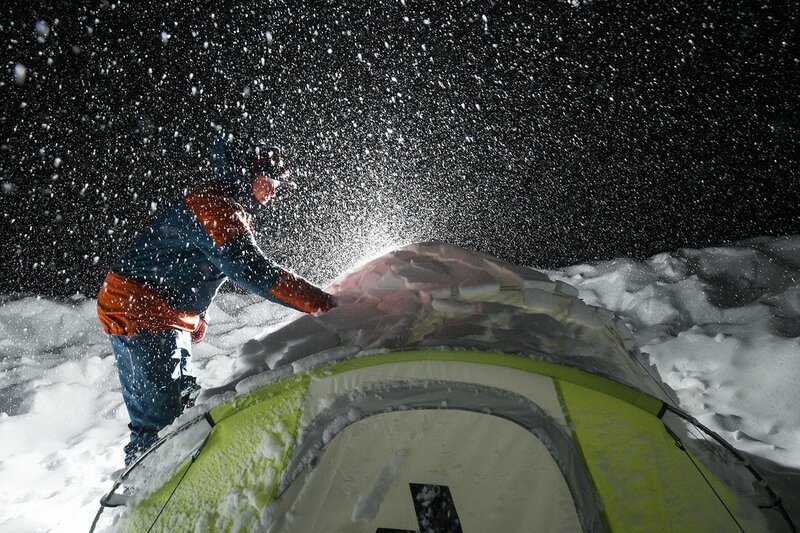 The snow and wind was relentless, so we dug and dug to keep our tents from being buried. By the end of the storm, our gloves and boots where soaked from the shoveling. When the sun finally broke through, it was a warm welcome, and I was amazed at how well it dried our gear. 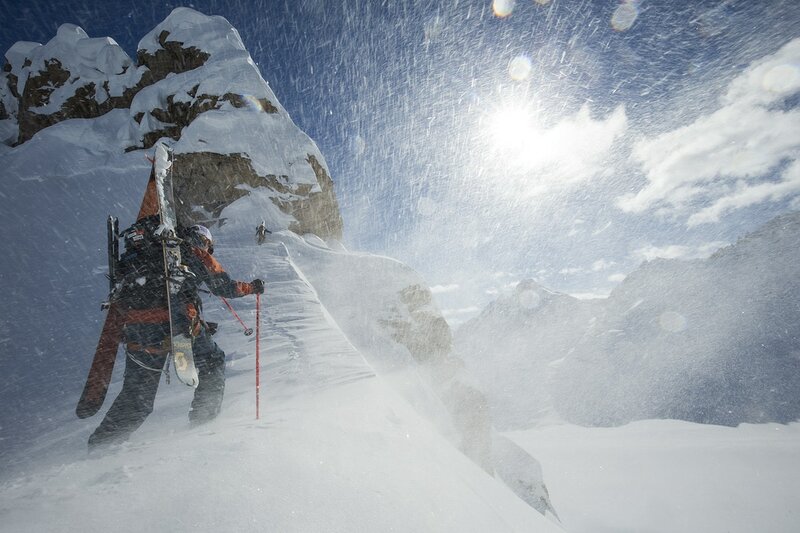 With a renewed high pressure system we prepared for our next mission; to climb and ski the Talon. Three steep, gnarly, fluted spines that give the appearance of an eagle's Talon. Once again my mind ran wild as I fell asleep that night in anticipation for the gnar that awaited the next day. When we awoke dark and early, the air was crisp and the stars shone bright as we climbed up beside the Talon. The sunrise was all time, the best of the trip. 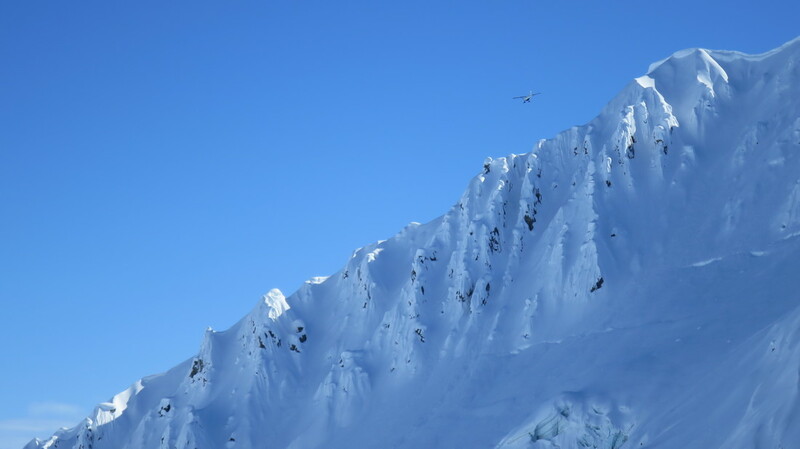 I chose to ski the middle Talon, which was steep and fluted, and the line seemed to call my name. 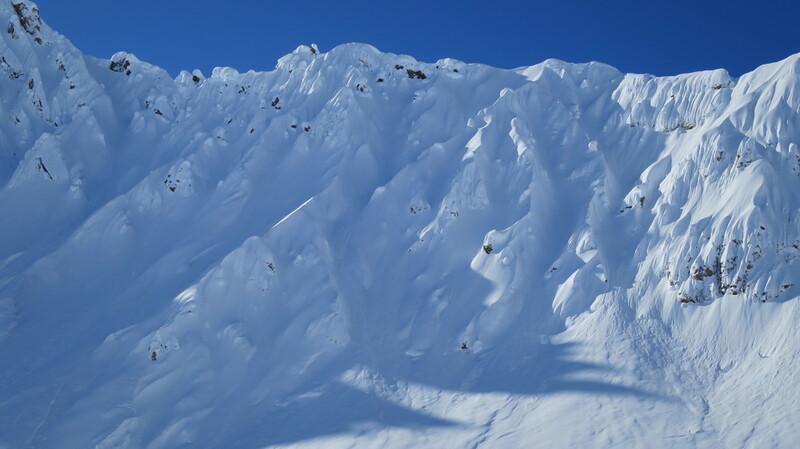 I wasn’t sure how to ride it and was concerned there may be crust on the sun-exposed side of the spine, so I skied the sheltered aspect and got deep in the flutes. The flutes were steep and funneled out by consistent sloughing, and where complicated to ride, each turn was variable. Slough pumped in the runnels as I hopped my way down, each turn as precise as the last. It was so steep my shoulder would bump the wall, threatening to flip me over and send me careening down the mountain. My legs were on fire as I bounced from one flute to the next, so I dubbed the line “1000 Squats,” due to the burning in my legs. On our final day, we climbed the Claw once more for the “grand finale,” Mac, Griffin and I felt confident and wanted to improve our lines. The snow was fresh from the storm cycle we had received and I chose our climbing line carefully as we topped out on the ridge, avoiding what appeared to be a loaded pocket of snow at the top of our climb. I dropped first. Small pockets began popping everywhere as I shredded down the Claw. While keeping my eye on the moving snow as I continued to ski, the pockets turned into raging powder clouds as the moving snow caught huge air off the walls of the spines. 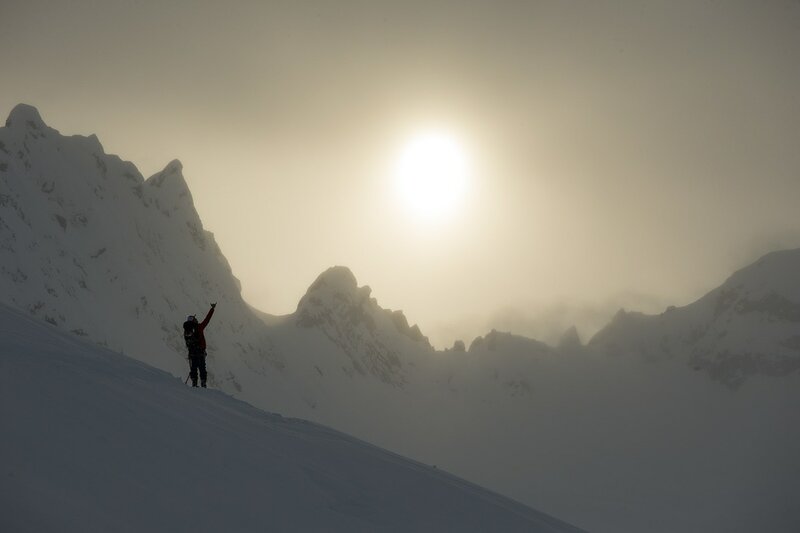 My mind raced, calculating the spine ahead while observing the moving snow and deciding whether I’d be able to continue skiing or have to pull up on the spine. I continued and came out shredding at the bottom, riding on an all time high. Mac and Griffin shredded hard and sent more pockets barreling down the spines as they came ripping out the bottom. Our time was up, so we quickly packed our gear and boarded the Beaver back to reality. This trip is what dreams are made of, and exactly what we live for. I wouldn’t choose it any other way. Enjoy the video below of our adventure.